Diana is a Family Law and Civil Litigation lawyer with 15 years of experience in practice. She adopts a holistic approach in her Family Law practice and always work closely with her clients to achieve outcome in their best interests. She understands the emotional challanges that often comes with acrimonoius divorce and family disputes. Her experience in this Practice enables her to provide clients with clear foresight and strategy to minimise disputes where possible. Diana has handled numerous contested and uncontested divorces as well as estate matters. She is well verse with Probate and Letter of Administration proceedings, Mental Proceedings, drafting of Wills and Lasting Power of Attorney (“LPA”). She has helped hundreds of clients to draft their Last Will and Testament as well as their LPA. Apart from Family Law practice, Diana has handled several general commercial litigation matters including contractual claims related disputes, landlord and tenancy disputes, insolvency and bankruptcy proceedings, defamation suits, motor vehicle damage and personal injury claims for and against insurers. 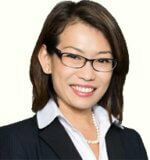 She has also helped clients to draft Trust Deeds and have work experence in a local bank and a Trust Company previously. Diana has also been invited to many events by banks and insurance companies to provide talks on Wills and LPA to their customers. Fixed fees are available upon requests for uncontested divorce, Deed of Separation, Pre-Nuptials Agreements, Probate and Letter of Administration, Mental Capacity proceedings and Adoption proceedings. Fixed fees are also available for simple Will-writng and LPA form 1 application.